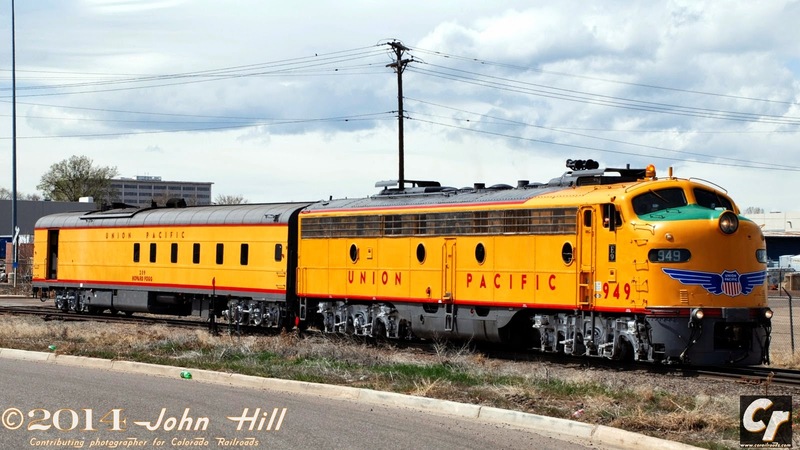 Contributing photographer John Hill captured Union Pacific's historic EMD E9 in Denver with car #209, known as the Howard Fogg. It is the last boiler car for the UP. The car is comparable to former Alco PB #6002 that the Rio Grande renumbered 253 when they converted it to generate steam for passenger trains like the California Zephyr, the Rio Grande Zephyr and the Ski Train. Nathan Holmes of DRGW.net explains the reason behind steam generator cars. In practice, the former diesel engines like the Alco were easier to convert because they were already built to MU (multiple unit) control standards. 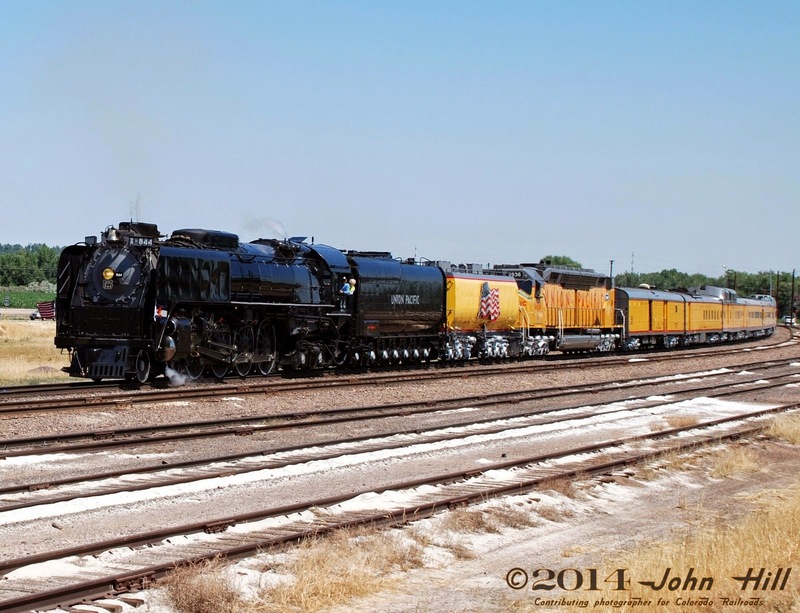 Therefore, they ran between the engines instead of behind them like the Union Pacific. The Howard Fogg must ride behind the engine lashup and not within it. Named for the renowned railroad painter in 1996 after he passed away on October 1st of that year. Fogg issued numerous paintings of locomotives at the end of steam and the heyday of cowl-bodied diesels. This was during a period when American railroading was arguably the most colorful and diverse. Examples of Fogg's paintings can be found illustrating many published works, including some editions of the definitive Rio Grande book, Rebel of the Rockies by Robert Athearn, as well as his own books. His works come on calendars, playing cards, porcelain platters and even things you can hang on your wall with frames. Most recently, Richard and Janet Fogg have published Fogg In the Cockpit, a book and a blog about Richard's father. Colorado railroads and narrow gauge were a favorite theme among Fogg's many paintings. Given today's wireless and electronic gadgetry, it is a bit ironic that the power cars are indispensable for present passenger special operations using equipment made to run when steam was not just an option, it was the only way to power the cars in your train. Eventually, however, the standard for car power changed when Amtrak took new Amfleet and Superliner cars that relied on HEP, or Head End Power, based on the ready supply of electricity from today's diesel-electrics. Yet nothing seemed capable of killing off the last vestige of steam from the surviving vintage passenger cars like those of Union Pacific. Inconspicuous to a fault, the Howard Fogg blends in with the passenger consist, ahead of the first dome and behind tool car Art Lockman and #6936, this time speeding through La Salle, Colorado, on its northbound jaunt to Cheyenne Frontier Days.